This Little boy had the most perfect features. The image of him in the bucket is one of my favourite pictures I have ever taken. It is going HUGE in my studio 🙂 🙂 Come and see it! 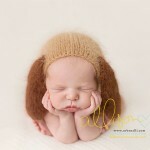 This sweet baby belongs to a Newborn photographer from Red Deer. 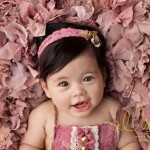 I feel So BLESSED when other photographers ask ME to photograph their baby. She is a perfect girl. This shoot was SO much fun!!! Lots of trials for this family during this time in their lives and it was nice to laugh a lot during this shoot. 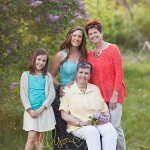 What gorgeous girls- Granddaughter, Mom, Grandma and Great Grandma. Mom and dad adore dogs….. Just so happened I had the SOFTEST puppy hat from Two Crafty Mommas for him……. What a cutie!!! Congrats you two! !